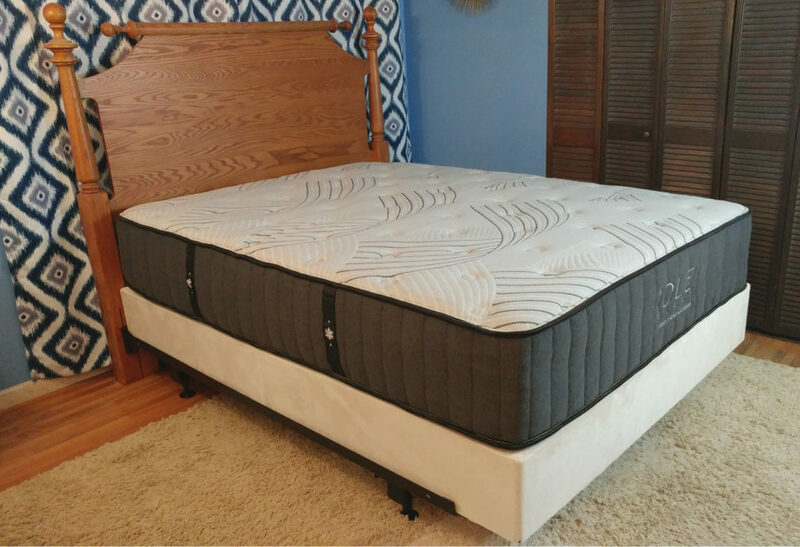 IDLE Sleep Hybrid Mattress Review – The Two Sided Mattress Is Back! Use this code to save $300 off your mattress purchase. The Two-Sided Mattress is Back! IDLE Sleep was developed by a pair of seasoned bedding professionals who recognized an enormous untapped opportunity. Two-sided mattresses had all but vanished by 2007; but not for lack of demand. Their departure left many consumers shaking their heads and wondering why. Flippable mattresses have long been touted as a great way to increase durability and prolong comfort life of your bed. Increased costs incurred as a result of new fire retardancy laws, contributed greatly to their disappearance. An extremely profitable bedding industry was not ready to part with huge margins and looked to trim the fat. Rather than sacrifice profitability, the two-sided mattress was all but discontinued. Currently, there are only a handful of companies producing this type of bed. IDLE SLEEP has brought back a premium flippable mattress in four distinctive models. The Hybrid, The Latex, The All Foam and The Dual Feel models are all available as two-sided mattresses. 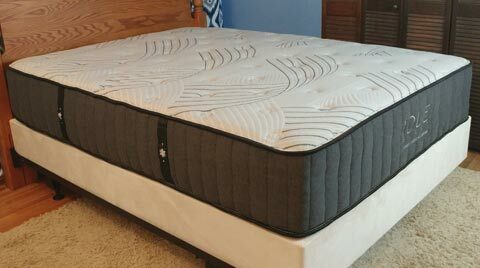 This review will focus on the IDLE Hybrid mattress. BestSlumber recently did a full trial evaluation of the IDLE Hybrid Medium. 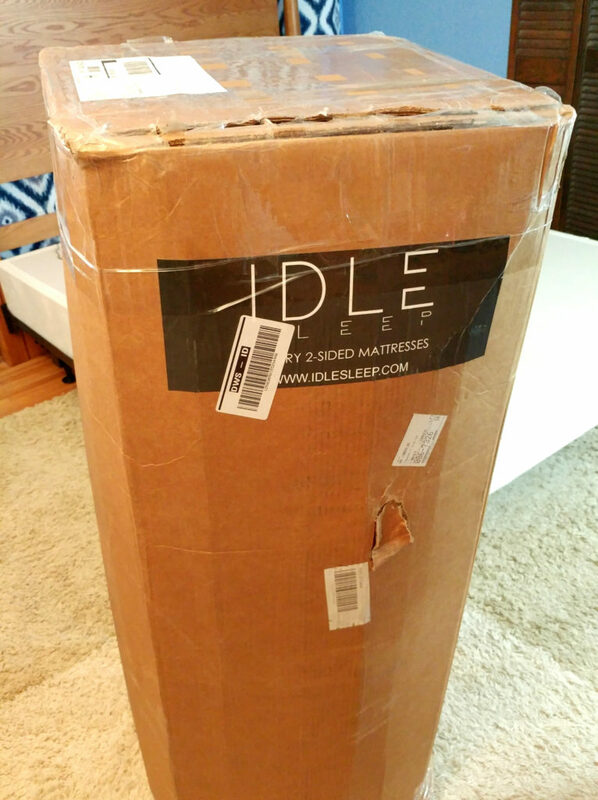 IDLE Sleep recently sent BestSlumber their Hybrid mattress for us to evaluate. The bed was provided at no charge. In return, we were asked to write an honest review of their mattress. We’ve detailed our IDLE Sleep Hybrid experience and recommendations. Our product rating was based on a wide array of criteria. This included comfort, durability and overall dollar value. IDLE Sleep is one upping the competition by bringing back quality two sided mattresses. Thermocool Fabric regulates heat while working with your body’s own natural thermal capabilities. Smart fibers help keep your sleep environment at just the right temperature. 1″ IDLE Airflow Response Foam adds bounce and keeps you cool by allowing additional air circulation. 2″ IDLE Buoyancy Foam is a customized poly foam containing billions of microscopic air bubbles, This provides exceptional airflow and cooling. The air pockets also act as individual shock absorbers that give great pressure relief. Unlike memory foam, IDLE Buoyancy offers body contouring without the deep sinking feeling. In essence, you sleep on it, not in it. Temperature change will not affect the firmness feel of this foam either. Viscoelastic memory foams will be altered by cooler room temperatures making them feel firmer and less pressure relieving. In our experiences with a bed in the box mattresses, memory foam beds can take a considerable amount of time to “thaw out” after arriving on a cold truck during colder months. Coil System: Quantum Edge Elite provides complete edge to edge support and comfort. This reduces or eliminates that roll off feeling. It also increases support consistency from one edge to the other. Testing has found Quantum Edge Elite to be 26% more durable than foam encasement. Bolsa coils form the interior of this unit. They provide superior support and limit motion transfer. The system has a total coil count of 1,057 for a standard queen mattress. IDLE Sleep’s support system rivals mattresses retail beds costing twice the price. Below the coils rests the same comfort layers as the top. The IDLE Hybrid is a true 2 sided flippable mattress. Why buy a two-sided mattress? They last longer and are a better overall value. Stop and consider the main reason people replace their mattress. Typically, it’s because there is a sag in the middle of the bed that is causing discomfort. By flipping your mattress, you are able to utilize both sides of foam and fabric. As a result, the mattress wears slower and more evenly. Prolonged durability and comfort life make two-sided mattresses a great value. How Often Should You Flip A Two Sided Mattress? As a general rule of thumb, twice a year is a sufficient amount of times to flip your mattress. As for rotating your bed head to toe, every 3 months is recommended. Make it a seasonal task and you’ll be fine. It certainly won’t hurt if you make these adjustments more often. But, following these guidelines will be enough to significantly extend the life of your mattress. IDLE Sleep’s utilizes over 1,000 pocketed coils and dense, quality foams in two to provide superior support and alignment. IDLE Sleep Buoyancy Foam offers great pressure relief without that sinking feeling memory foam sometimes creates. We found little to no motion transfer with IDLE Sleep. High-density IDLE Foam and pocketed coils do an awesome job of eliminating motion detection. IDLE buoyancy foam has a bit more bounce than memory foam. Combined with a solid, supportive coil unite, ease of movement is significantly improved over spring free memory foam mattresses. Thermocool fabric utilizes smart cross fibre sections designed to regulate heat. IDLE buoyancy foam contains no viscoelastic materials and sleeps cooler than memory foam. Because the hybrid uses a coil foundation, air circulates easily allowing for further breathability and cooling. The Hybrid had a mild non-offensive scent when first opened. It could best be described as a "new" material smell that quickly dissipated. All IDLE foams and fabrics are CertiPUR certified to not emit toxic chemicals into the air. Based on the coil structure and foam densities, IDLE should yield substantial support and comfort life. When you take into consideration IDLE is a flippable mattress, you can expect far better than average longevity. Edge to edge Quantum coil support gives the IDLE sleep hybrid mattress an edge over foam encasement. IDLE Sleep offers a 120 night trial period to decide if the hybrid is right for you. They do asks that you try it out for 30 nights before making your final decision. Often, a brief adjustment period is required when sleeping on a new mattress. If after this initial period you are not fully satisfied, IDLE will refund all of your money and donate the mattress. 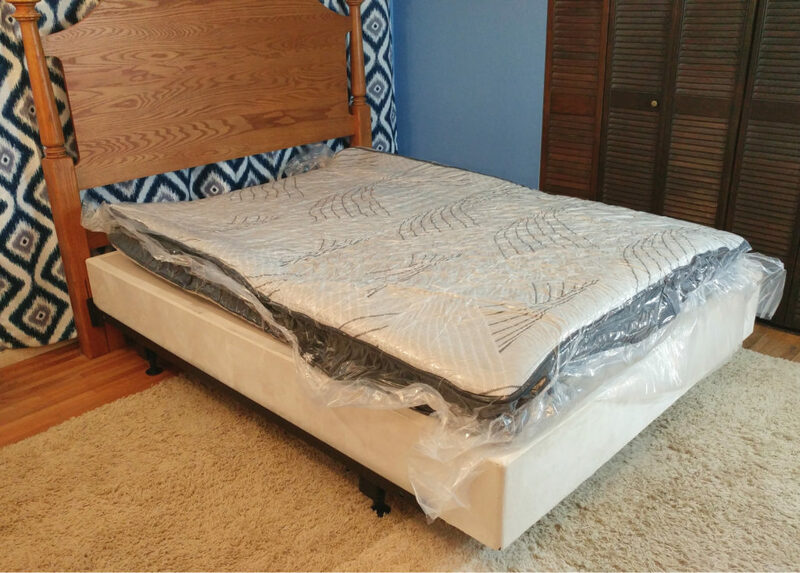 If an issue arises that is determined to be a defect, your mattress will be repaired or replaced at the company's discretion. This is a unique promise that extends beyond normal consumer expectations. A word about this warranty: It's unlikely you'll be keeping this or any mattress forever. Even if a bed is reconditioned to meet warranty specifications, it does not guarantee it will feel as comfortable as when new. Your age, physical condition and recent injuries make each stage of life play a part in how our comfort requirements may change. A mattress that's appropriate when you're in your 30's may not suit your needs at age 50. Delivery is free to your door within. No in home setup option available. 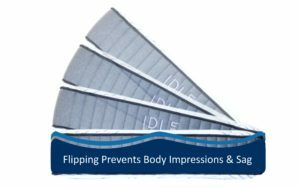 IDLE buoyancy foam performs better than memory foam by offering a bit more push back and less sinkage. On top of a quality, supportive coil spring, this mattress scores well in this category. IDLE Sleep delivers quality support and comfort at a great price. The two-sided flippable feature adds longevity and makes this mattress an even better value. No two mattress companies produce the same level of firmness; no matter how they label them. We found this mattress to be slightly softer than some similarly designed mattresses we have tried. That said, the hybrid still falls into that median range comfort feel. It’s supportive but contouring qualities make this mattress feel quite comfortable for side sleepers and back sleepers who like a little more body hug. A back sleeper who appreciates a softer feel will like this mattress. the Hybrid medium offers a nice blend of alignment and contouring. On your side is where this mattress really shines. The IDLE Hybrid medium offers some nice body hug for the shoulders and hips. We experienced immediate pressure relief in this position. While admittedly not stomach sleepers, we found comfort to be adequate but possibly a bit too soft. If you spend the majority of your night on your stomach, our recommendation would be to try the medium firm. Our concern here is that the medium may be a bit too soft to offer enough lumbar support while in this position. The medium firm is a universal feel designed to appeal to the broadest spectrum of sleepers comfort needs. It provides great support with just enough softness to eliminate pressure points. The medium firm will accommodate most, but not all comfort requirements. Most back sleepers who gravitate towards a firmer feel should consider the medium firm. It will offer a little less body hug and the same great support as the medium. Side Sleepers who like a like a bit firmer feel will like the medium firm. When talking about differences between the medium firm and the Medium, it’s a matter of personal preference, not support. Make your decision based on comfort. If you truly like a softer feel for more conformity, we recommend the Medium. The medium firm should most likely be your choice if you sleep on your stomach. A little firmer feel will prevent your lumbar from dipping and causing lower back pain. While sleeping on your stomach, you may find additional pressure relief by putting a thin pillow under your abdomen. A two sided mattress translates to longevity and extended comfort life. It's an added bonus that's quite rare in today's market. Great value: The Hybrid is 1/2 the price of comparable luxury mattresses you'll find in a retail environment. Sleeps Cool: IDLE foams are designed to have a heat regulating quality. They sleep far cooler than conventional memory foam. Low Motion Transfer: Our evaluation found little to no motion detection. Couples can appreciate less sleep disturbance due to their partners movements. Pressure relief: IDLE foams offer exceptional contouring and conformity. Limited Lifetime Warranty and 120 Night Comfort Guarantee reduces purchase risk. No one bed or brand is right for everyone. If you're true preference is an all foam mattress, you will probably not choose the Hybrid. No White Glove in home delivery service offered. The IDLE Hybrid mattress is quite heavy. Most people will require two sets of hands to bring into the house. That said, with assistance, setup is quite easy. You should consider the IDLE Sleep Hybrid If you’ve tried foam mattresses, but found you still prefer the feel of traditional innerspring beds. This mattress offers exceptional pressure relief while maintaining a familiar coil support feel. With over 1,000 coils that extend from edge to edge, the Hybrid offers superior support and alignment. If you’re looking for a cool sleeping mattress. IDLE’s Cool Support Buoyancy foam is made without viscoelastic chemicals. It sleeps cooler than memory foam while maintaining a faster response time. The IDLE Thermocool fabric’s smart fiber cross-sections act as a heat regulator. This keeps you from getting too hot or too cold. You’ll like the IDLE Hybrid mattress If you want pressure relief but don’t want that sink in feeling associated with memory foam. This mattress offers conformity but still allows for ease of movement. As the name implies, IDLE Buoyancy foams offers more resiliency and faster recovery than memory foam. If solid edge support is important to you, You’ll benefit from IDLE’s Quantum edge to edge coil system. We found edge support much more substantial than typical foam encasement. If you want a durable mattress, you should consider the Hybrid. Dense foams and quality components are built to last. The added feature of being a two-sided mattress greatly increases the longevity as well. Couples who don’t want to disturb each other’s sleep will appreciate the IDLE Hybrid’s low motion transfer. Your movements will go virtually undetected through the night. In fairness we always try to take touch on everything that may or may not appeal to most sleepers. This is one of the rare mattresses we struggled to finding much of anything to be concerned about. The IDLE Sleep Hybrid should provide enough support and comfort for the majority of mattress shoppers. If you prefer the feel of a spring-less foam bed, this might not be the mattress for you. Although pressure relieving, the Hybrid has a more structured feel. People who love a spring-less memory foam may not care for this feel. Upon delivery, the first thing you’ll notice is that your IDLE Sleep Hybrid is quite heavy. It weighs in at around 115 lbs. That said, It’s best to have a second set of hands to assist when bringing this mattress into your home. Once you’ve brought it to the room it will be slept on, setup is easy and quick. Open the box slowly, being careful not to cut into the mattress. This mattress is far easier to move while still in the box. We recommend placing the Hybrid on the foundation prior to opening. 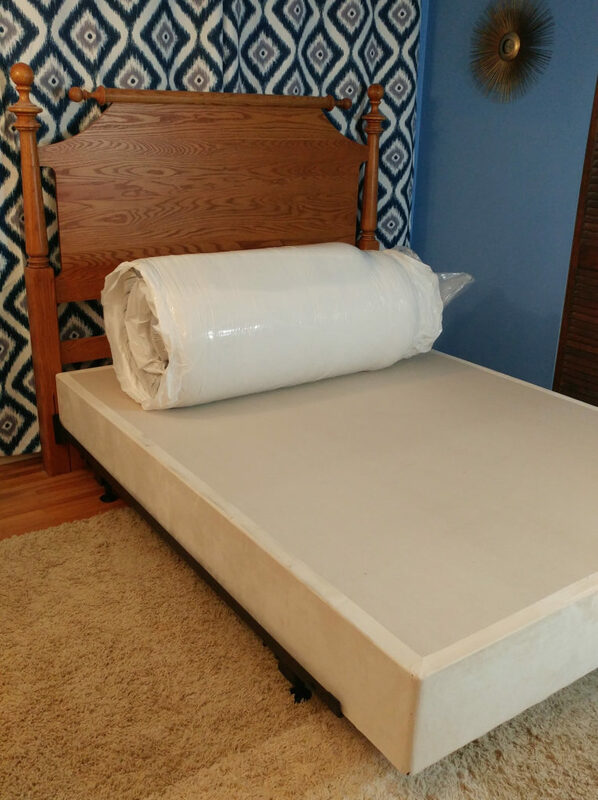 Once you begin to unwrap your mattress and the vacuum seal is broken, your mattress will expand rapidly. Air will rush in quickly allowing foam to expand and coil unit to take shape. Although the mattress appeared to be fully expanded within an hour, we found the full comfort feel of the Hybrid was not realized until the following night. There is a lot of steel and dense foam that needs to fully relax. After 24 hours, the difference was subtle but discernibly softer. The appearance of this bed was every bit as impressive as a luxury mattress found on a specialty sleep shop floor. The only real difference we saw was the Hybrids lower price tag and its two-sided benefits. *Special note: As with any quality mattress, It’s essential a Queen or King has a frame with a sturdy center support and additional legs on the ground. Over time, Inferior frames can affect the support and longevity of your mattress. The IDLE hybrid scored high in almost every rating category. This includes support, motion transfer and sleeping cool. It also has the added element of being a two-sided mattress. This increases the durability and longevity of bed. We highly recommend this well-priced quality mattress.